I can not believe it is mid August already and that summer is coming to an end. (the state fair commercials have already reminded me of this) Although I can't say I am super disappointed this year as being pregnant and working events in the heat has been rather challenging. I look forward to cool fall days, football and fires so I am ready for fall. 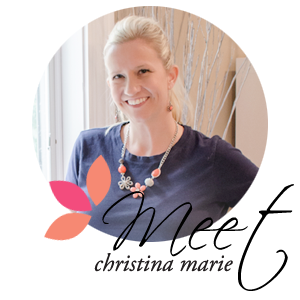 Christina Marie Events & Floral has had a busy spring & summer with not only our weddings but also getting the new studio finished, being apart of some of my good friends weddings, trying to enjoy our cabin and also getting ready for a baby this fall. I am so excited about my new office space that has been a ton of work but will be well worth it. It is such a great mix between a actual office for meetings and a workspace for our floral business. I have had the pleasure of having a few bridal meetings amongst the chaos and I can't tell you how great it is to have displays, flowers, ideas, books, reference etc at our fingertips to help our brides plan their wedding day and design their flowers. I apologize for not being better on blogging most importantly our weddings but also happenings or fun tidbits I come across. I am hoping after August is over I can go back and post them all. We have a busy end to August with 4 weddings one if which is in Portland and a few in September and October before Maternity leave starts!! Check back this fall as I update our blog and website with the pictures from our amazing weddings this year! Here are a few pictures of my chaotic office that is in the middle of being finished and while prepping flowers for a wedding. Notice my helpers for the evening? (Husband a few animals, if only a dog knew how to make a boutonniere my life would be a little easier) Once the office is complete I will post a start to finish of this project, it has been quite the transformation.